Women in general love to shop. We love to shop for sale items. We love mid-year sales. Clearance sales. All types of sales out there. From now on, I will try to post a sale find every week. You know how much I love walking in wedges. Remember my Stella Wedges from Parisian? Similar colors huh? Anyway, this is my newest pair from the brand which Kris Aquino is the endorser, Figliariana, the sister brand of Figlia. They have lots of more fashionable items this season, but I had to settle with this very comfortable pair of wedges. Wedges are always fashionable anyway. they look great! :) I love wedges, they're pretty easy to walk in! type na type ko sis...nice! sana meron yan dito...ehehhehe! Love wedges, you can go as high as you like and walk in comfort. sis, parang ang tagal ko na di nakasuot ng bakya na may heels.. hirapan kasi akong umakyat sa school stairs hhehehe.. pero ito ganda .. hindi ba mabigat? thanks for the drop. 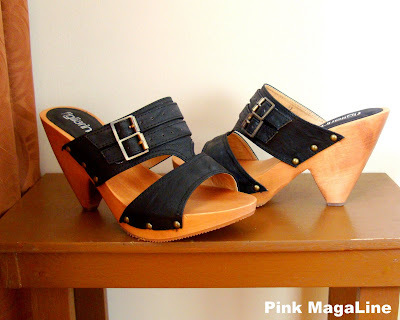 love it.. sana may white.. Im into hi-heeled shoes again.. i love wedges too..
Laki ng discount ah. 1000P off!